Professor Motomu Kanai has joined Organic & Biomolecular Chemistry as an Associate Editor. We are delighted to welcome him to the team and look forward to working with him over the coming years. Motomu Kanai was born in 1967 in Tokyo, Japan, and received his bachelor degree from The University of Tokyo (UTokyo) in 1989 under the direction of late Professor Kenji Koga. In the middle of his PhD course in UTokyo (in 1992), he obtained an assistant professor position in Professor Kiyoshi Tomioka’s group of Osaka University. He obtained his PhD from Osaka University in 1995 before moving to the University of Wisconsin, USA, for postdoctoral studies with Professor Laura L. Kiessling. In 1997 he returned to Japan and joined Professor Masakatsu Shibasaki’s group in UTokyo as an assistant professor, being a lecturer (2000~2003) and an associate professor (2003~2010). 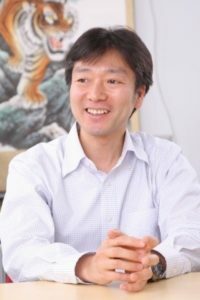 He is currently a professor at UTokyo and is a principle investigator of the ERATO Kanai Life Science Project (2011~2017). He has received The Pharmaceutical Society of Japan Award for Young Scientists (2001), Thieme Journals Award (2003), Merck-Banyu Lectureship Award (MBLA: 2005), Asian Core Program Lectureship Award (2008 and 2010), and Thomson-Reuters The 4th Research Front Award (2016). His research interests focus on the design and synthesis of functional (especially, biologically active) molecules. Find out more about Professor Kanai and his research on his lab’s webpage. Submit your work for Professor Kanai to handle today. Imada torque testers capture peak torque or display torque measurement in real time mode. High and low setpoints facilitate Go/No Go testing.